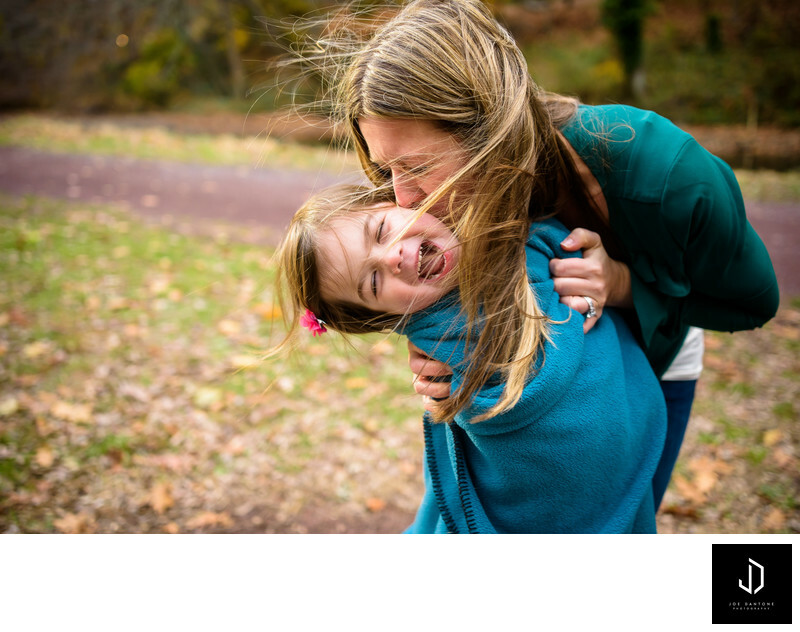 Bucks County Family Photographers have some amazing Family Photo locations right here in Bucks County. Specifically some great ones in Newtown, and Yardley, PA. This image was photographed in Yardley, PA during a fun family photo session on the Delaware River Canal. We set this up in November, just before the holidays. As you can tell by the leaves on the ground, this family shoot was photographed in the Autumn with all the leaves and beautiful foliage. Family Photography is extremely important because it gives us something to look back on and re-live those happy moments we've shared with one another. It shows how much we've grown. I love being able to give Bucks County Families that gift.